When one thinks of the very grave evils that threaten humanity; and when one considers how many souls are lost and fall, every day, into the Abyss of Hell; and when one remembers that, in order to avoid those disasters and to save sinners, «God wants to establish in the world Devotion to My Immaculate Heart», as Our Lady said when She appeared to the Three Little Shepherds of Fatima in July, Our heart rejoices at the appearance of one more little book that wishes to be a herald of that saving Devotion, and of the Five First Saturdays. 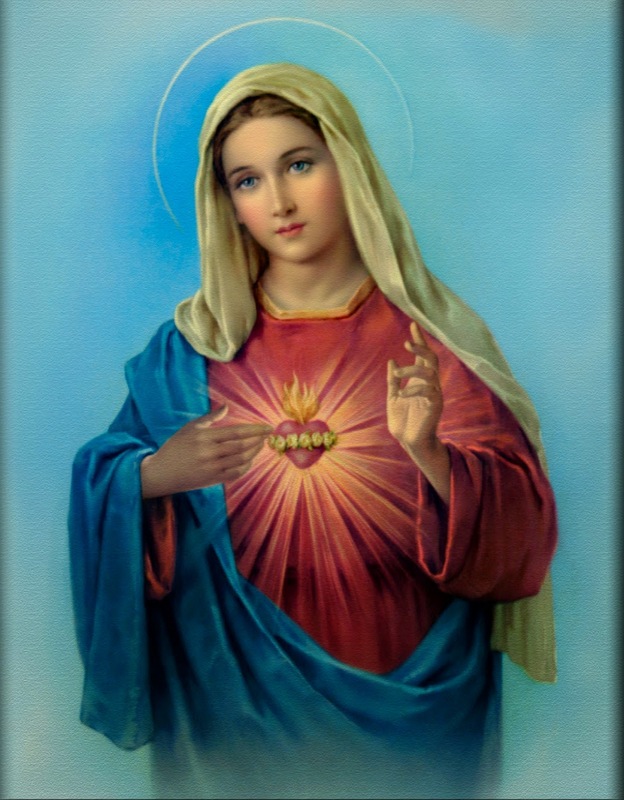 May this little book run throughout the entire world, and may the Immaculate Heart of Mary bless, with Motherly liberality, its Author as well as all those who read it and put the Devotion into practice! FATIMA, 13 de Junho de 1958. On July 13.1917. when the Holy Mother of God appeared to the Three Little Shepherds of Aljustrel. at the Cova da Ida in the Parish of Fatima, She spoke the words quoted above. In the Autumn of 1916, the Guardian Angel of Portugal, who is held to be the Archangel Michael, and who came to prepare the three children for the coming of Our Lady with Her world-shaking Message in 1917, also demanded Reparation from the children, and through the children, from all of us! Three times the Angel made the children, on the hill of Cabeco, repeat the following prayer before he gave them the Mystic Communion; He also made them say it, with him, again three times after receiving the Communion. Our God is a terrible God! «It is a fearful thing to fall into the Hands of the Living God!». Yet Our God is the God of Infinite Mercy and Infinite Love! God's Mercy is always the same, and when men repent and amend their lives He always forgives and spares! «Their pride is humbled. I will spare them from ruin.» 11 Para: xi. 7. Why are we on Earth? Why are we alive? What is the point of our being here, on Earth, at all? Simply to prepare for Heaven! Simply to give glory to God, to know and love and serve God here, in order that we may all be with Him in Heaven for ever! There is no other reason for our existence! We are simply and solely here on Earth for a time of TRIAL, in order to prepare ourselves for ETERNITY! That Eternity will be for each of us simply and solely what we make it here, NOW! That Eternity, which means a never-ending time, will be an Eternity of everlasting HAPPINESS, with the God of all Love, and with the Mother of Fair Love, and with all the Saints, boys and girls, men and women, and with all the Angels, in the endless enjoyment of such glorious surroundings as «Eye hath not seen, nor ear heard, nor has it entered into the heart of man», which God has there, in Heaven, waiting for those who accept His Holy Will! For those, who accept Him as their God and their King! This joy is in store only for those who get to Heaven! That Eternity, on the other hand, for which we are all now making preparation here on Earth, will be an ETERNITY, or never-ending time, of the most appalling, hateful, hideous, and unspeakable SUFFERING in the burning horrors of the endless TORTURE-CHAMBERS of HELL. That Eternity will be spent in the endless and nauseating company of the Hating and Hateful Devils in Hell, devils who are the slaves of Lucifer, and who with him were glorious Angels once, in the Heaven, which they have lost! WHICH IS IT GOING TO BE FOR EACH OF US ? WHICH IS IT GOING TO BE FOR ME? HEAVEN OR HELL? Almighty God, Himself, came down to Earth almost 2000 years ago, to win Heaven for us, to teach us how to get there, and to give us all the means that are necessary to get there. Our Lady, Herself, has come to Earth many times and especially during the past 150 years, to warn us that we are heading for Hell, and to plead with us to OBEY Her Divine Son, to MAKE REPARATION for all the past sins of mankind, and TO AMEND OUR LIVES for the future. These are the conditions for getting to Heaven! God CANNOT MAKE us go to Heaven! Our Lady CANNOT MAKE us go to Heaven! They are utterly incapable of doing that now, even with all God's almighty power! The reason for this is that God gave to man FREE-WILL, and never, now, can He compel us to love Him! The choice has got to be made by each one of us ! The choice is — Shall I go the Heaven ? OR Shall I go to Hell? Which shall it be? THE ANSWER DEPENDS ENTIRELY UPON MY-SELF! The answer to that question depends entirely upon ourselves! The choice is simply — Shall I go to Heaven? or, Shall I go to Hell? IT ALL DEPENDS ON ME, MYSELF, HERE AND NOW! Our God, Who is the God of INFINITE LOVE AND MERCY, Who loves each one of us with an unimaginable, unfathomable ocean of limitless love, came down to Earth to live as a poor working-man, and to die the death of a criminal, in order to SAVE US FROM ETERNAL HELL! He came to take us to HEAVEN; thus repairing the terrible work of Adam and Eve. Our Creator humbled Himself—simply out of love for each one us, for my sinful self—and was born in a wretched cattle shed! Just think of that! Just think of that unimaginable HUMILITY on the part of Almighty God! The FIRST BED that God had, God Who made the Heavens and the Earth and every living thing, and every lifeless thing, that ever was or ever will be created, was a CATTLE-TROUGH, and His bedclothes were straw and hay! And the only beds that Mary and Joseph had, then, were piles of straw! That was God Almighty's FIRST BED on Earth, that was the «gracious, kindly welcome» that mankind gave to Him in return for His immensity of love in coming to save us from THE ETERNITY OF HELL! That, then, was the FIRST BED that God's «grateful» creatures made for Him. And what was the LAST BED, allowed to Him by the same «grateful» creatures? God's LAST BED on Earth was the HARD AND CRUEL, ROUGH AND AGONIZING CROSS. We gave Him the CROSS, which was usually the last resting place of the vilest and worst CRIMINAL in existence, coupled with a death made as utterly cruel and painful as the science of the time could invent! This was the extent to which the love of God for our souls went, and in the last moments of that agonizing death for love of man, God gave to us His greatest gift, after the gift of His own Self! In those last painful hours, so empty of thought for Self, so full of love for us, the Dying Saviour gave to us HIS SPOTLESS MOTHER, to be OUR MOTHER! The last word that the God-Man ever said to man, on Earth, before He died was—«MOTHER». BEHOLD THY MOTHER! As God loved, and still does love, us, so in the same way Our Mother, in spite of all our cruelty to Her Baby and Her God, loves each one of us, singly, with all the love that there could be in the heart of one mother, if that mother had in her heart all the love of all the mothers in the whole world, as St Louis Grignon de Montfort teaches us. 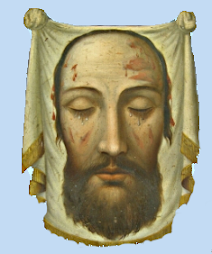 This death, then, was just a part of the price that God paid for the redemption of our ungrateful souls, in order that we might go to Heaven, and be saved from Eternal Hell. This Birth and Death was part of HIS price, as our Redeemer. Then there was the part of HER price, as our Co-Redemptrix. All the indescribable sufferings endured in Bethlehem, and all those endured throughout Her whole long life, with those that She endured at the foot of the Cross, and when She held that dear mangled Body in Her loving Mother-arms, all those were a part of the price which SHE paid, as our Co-Redemptrix, for the saving of the souls of each one of us! And all that would have been suffered for EACH ONE of us ALONE! Such an immense value does Our God set upon one single soul! Mother; He could touch the loving devoted, strong and faithful hands of St. Joseph, both of whom were His most faithful servants and protectors. Yes, those Baby arms stretched out in His little manger to embrace the whole wandering, wicked world, could also touch the soft skin of those two dumb animals, the Cow and the Donkey; He could lay His little Hand upon their heads to thank them for their kindness in allowing Him to share their stall, when men had turned Him out, and for warming Him with their hot breath. Oh, fortunate beasts, so much more charitable, and so much more faithful, than so many of us have been to our loving Jesus! There, in that little cattle trough, in the cold and draughty stable, cast out like any unwanted outcast, the Little Jesus lay at the beginning of His suffering life. Little Jesus lay there opening wide His Baby Arms to every soul, longing to fold them all close to His Baby Heart to keep them from all evil, to hold them all safely until they have arrived unharmed in His Father's home, there to spend a life of everlasting happiness, real happiness, with Him in Heaven. That is how His blessed life began on Earth—Arms, Baby Arms, stretched out in longing love; Little Arms that He could wave at will! Then how did that same life come to its end, on Earth? It came to an end just in the same way, as far as the Arms were concerned! Arms, full grown, strong, loving Arms opened wide and stretched out to their fullest limit to embrace all sinners, to fold every soul in a loving, forgiving and eternal embrace, close to that Sacred Heart, which at that moment was giving the very last drops of His Most Precious Blood to save all men from Hell! As those dear Arms were stretched out, wide open, in the cold and lonely Stable with the beasts, at the beginning of God's earthly life so now, at the end of it, those same dear Arms are stretched out wide on Calvary. This time, however, those dear Arms have been stretched out by others, and have been nailed fast to the cruel wood, so that now those once-Baby Arms cannot wave at will! The beasts were round- His bed in Bethlehem; kind friendly animals, who warmed Him with their hot breath. This time other «Beasts» are round Him, breathing hot hate against the God of Love! «Beasts» indeed, because all men who set themselves up against God, and sin against Him, make themselves «Beasts», or rather make themselves lower than all the beasts of the field! You and I, WE were among those «Beasts» on Calvary! WE put the Son of God to death! We were among those Murderers! Because each sin that each of us has committed has «crucified the Son of God afresh»! And for this each one of us is bound to MAKE REPARATION ! We, all of us, are bound to make Reparation, and that implies something ACTIVE, something DONE BY US. It is not, in any way, enough to FEEL SORRY and then do nothing at all about it, that is false sentiment. «Faith without works is dead!». The devils believe in God, but that belief is not enough to keep them from everlasting and hideous sufferings in Hell. We, therefore, are bound to make REPARATION, and that being so let us all make sure that we know what Reparation means. REPARATION simply means MAKING REPAIRS, repairing the damage and putting things right again, as far as we are able, doing all we can to MAKE IT UP. Ever since the Fall of Man in the Garden of Eden, there has been a demand for Reparation. The Prophets of the Old Testament repeatedly demanded Reparation, and cried out unceasingly—«Repent! Repent!» Then came the last and greatest prophet of them all, according to the witness of Our Lord Himself, the great Prophet St. John the Baptist who spent a life of Reparation during which he cried out, again, and again. «Repent! For the Kingdom of Heaven is at hand!» as he prepared the way for the Lamb of God. And what does 'Repent' mean except, 'change your way of life', show your sorrow for your past sins and your past life by living a better life, by MAKING-UP for your past life, that is by making REPARATION! Our tender - hearted, ever - merciful Saviour, the God of Compassionate Love, never minced His words; though He loved, and always loves, the SINNER, He hates with an all-consuming hatred, such as God alone can conceive, every SIN and all PRIDE, which is the root of all sin! He, the All- Holy God, has bolted and barred the gates of Heaven against every one of us, UNLESS WE BECOME LIKE LITTLE CHILDREN — «Nisi efficiamini sicut parvuli». «Unless you become like little children you shall not enter into the Kingdom of Heaven». How heart-searching that is for us! Am I child-like? Child-like that is, not childish! Or am I conceited, stuck-up, proud, and selfish? If I am, then 1 have not the slightest hope at all of going to Heaven—UNLESS I CHANGE ! Unless I become like a little child, humble, trusting and obedient ! When little children come into this world to begin their young, and happy, and hopeful lives they are so simple, so loving, so completely trusting, and so forgiving. This is how they come and remain, UNTIL they are ruined by the evil example or by the CRUEL SPOILING AND PAMPERING of parents, or others around them, all of which turns these little, loving innocents into odious, obnoxious and dangerous members of Society ! Who cannot remember seeing a little child, when it has done something that hurt its mother, or when someone else has done something to hurt its mother, run to its mother, cuddle up to her, leaning its little head on her face or breast and try to comfort her ? «Oh, Mummy darling, I am so sorry, I love you, I really do and I am going to kiss you to MAKE IT UP !» Then by way of making Reparation, the little one gives her something, «Here, take my toy !». «Like little children !» And all that God asks us to do, is to do the same. «Oh, dearest Mother, I am so sorry! I love You! I really do love You, and I am going to give You this, to do this for You, to MAKE IT UP ! Yes, first the Prophets, then Jesus Himself, and now Our Lady, Herself, all demand Reparation ! Jesus demands REPARATION, Our Lady demands REPARATION. The main purpose of this little book is to lay all possible stress upon, and to make an appeal to souls, to all souls, to make, THE REPARATION DEMANDED by OUR LADY AT FATIMA, with more especial emphasis on the Reparation of the FIVE FIRST SATURDAYS ; and to do this before it is too late ! «Weeping, She hath wept in the night, and Her tears are on Her cheeks». The oceans of iniquity in the world of today, and of yesterday, have brought oceans of tears into the Eyes of the God-Man, Our Lord Jesus Christ, and into the eyes of the Mother of Sorrows, Our Lady, the Mother of Jesus. Knowing the most terrible sufferings that were soon to come upon the people, and seeing the number of people falling into Hell through neglect of His warnings, Jesus looked over Jerusalem, His own chosen city, and He broke down and wept! Hot, burning tears of agonizing grief swept down His Face, the most beautiful Face that ever was seen in this world of ours. «JESUS WEPT ! The Heart of God broke with sorrow for us! «If ONLY you had known, and that in this your day, the things that are to your PEACE !» «If only you had known, before it was TOO LATE !» He says to us today! This He says to us, today, in 1958, to us who long for peace and who make all kinds of plans for peace, instead of using His OWN PLAN, which was made known to us by Our Lady at Fatima! Not very long after these burning tears were streaming down His Sacred Face, Jesus was on His way to the horrifying death of the Cross. On His way to that terrible suffering Jesus passed some of the women of Jerusalem, the very ones whose fate had caused Him to weep sometime before. What did Jesus say to those women? You see He knew what was coming to them, and to us ! JESUS WEPT! and MARY WEEPS!